We Are Writing a NEW BOOK and Need YOUR HELP! – Welcome to The Fantastic Tails Website! 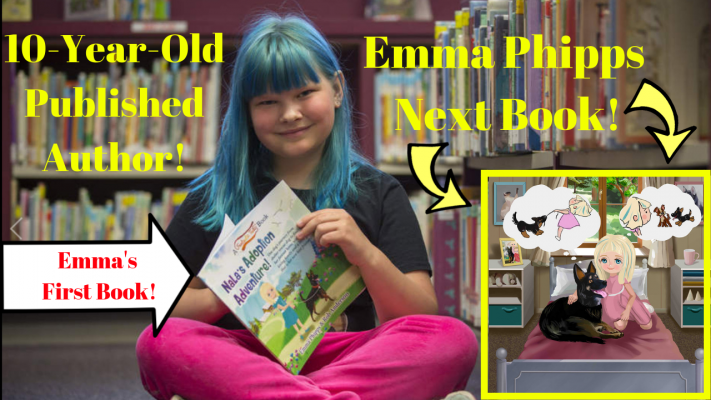 Click “Read More” Below To See Emma’s VIDEO About Our Kickstarter Campaign! Check out all of the cool reward levels available at our Kickstarter HERE! This book is called “Nala’s Dog Training Adventure,” and it shows that even an old rescue dog can learn new tricks and positive behaviors! We have secured our same illustrator Kate, and we are working on parts of the book now so that it can be done (even the SIGNED COPIES) in time for Christmas! It’s because of YOU that this book is happening! Thank You.